The amount you can claim is dependent on the distance of your flight, the length of your delay, but is irrespective of your ticket price. Millions of passengers are oblivious to the compensation they are entitled to. Approximately 30 million air passengers are entitled to three billion euros on an annual basis, and most of this compensation money remains unclaimed. Was your flight delayed? If so, the airline has a duty to take care of you. This includes free refreshments and snacks, and even hotel accommodation. If your flight is delayed more than three hours you can claim compensation. These rights are clearly defined in the European Union's Regulation EC 261/2004 on the rights of air passengers. However, airlines often try to avoid paying compensation by claiming "extraordinary circumstances", such as staff going on strike. This means they cannot be held responsible for the delay. If the airline offered you an alternative flight to your final destination, the carrier is allowed to reduce the compensation amounts mentioned above by 50%. Get our free weekly email full of spam free deals, guides and money saving tips. Just complete our quick claim form and we'll call you back at a time to suit. You'll need a list of passenger details and flight details. We will send a formal letter of claim to the airline on your behalf. If they fail to recognise your claim for compensation, we will instruct our dedicated panel of solicitors to take your case to court. Is this setting in iOS9 draining your data? 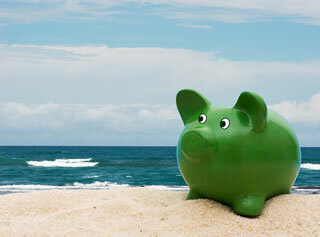 Could you save £000's in Pension charges?